If you are looking for something safe and indoors to do with the kids this summer, I have the perfect solution ! 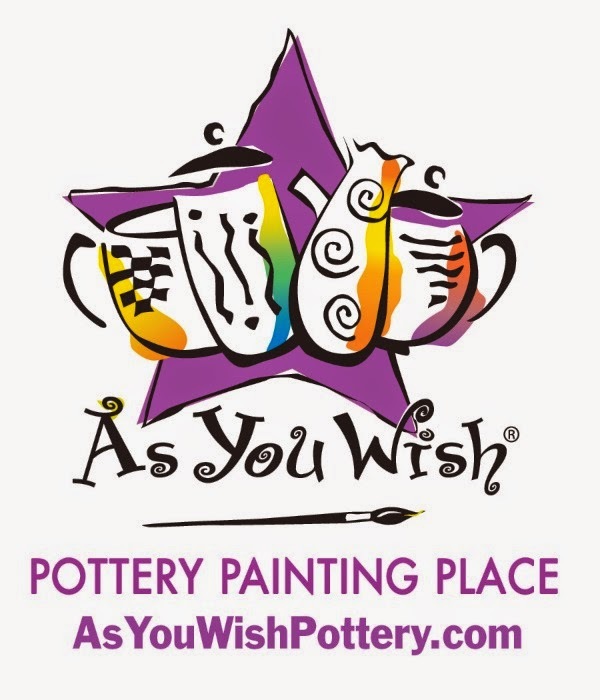 As You Wish Pottery Summer Classes ! 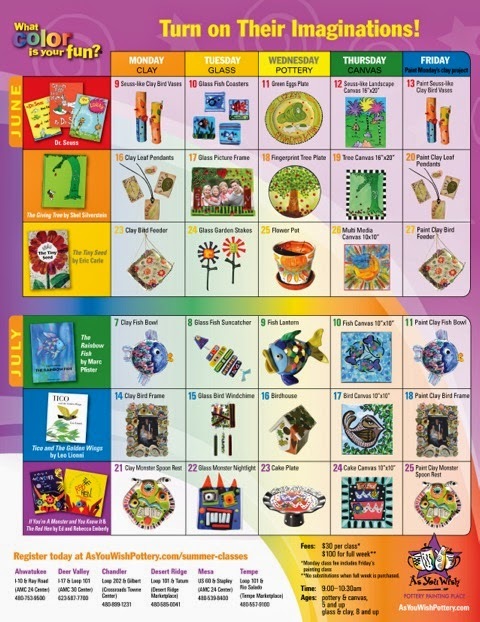 Each weeks craft is inspired by a classic children's book. Example : Week one is a Dr. Seuss theme. Then each day of the week has its own medium theme as well. We had the pleasure of sitting in on a special pre-class the other day and it was a BLAST ! 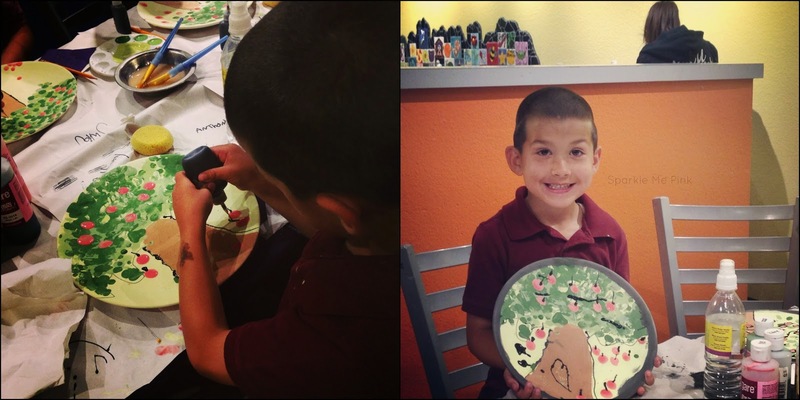 My 5 year old son was able to sample the Wednsday June 18th class by painting a ceramic plate inspired by the children's book, The Giving Tree by Shel Silverstein. I think it turned out fantastically ! - From 9-10:30AM and are held at all 6 Arizona locations. See here to find a studio near you. - $30 per class or $100 for 5 classes/1 week. *You may purchase classes individually or as a 1 week package for a $20 discount. *If you buy a week of classes, there are no substitutions from one week to another. - Keep in mind that Monday classes are Clay, meaning the kids are molding with the clay. Then on Friday the fired clay is painted with that weeks design inspiration. So when you do a Monday class its like getting two for the price of one class ! Sparkle Me Pink is not responsible for prize fullfillment. If you have any questions please reference my disclosure policy page or email me. (sparklemepink88@gmail.com) This giveaway is not sponsored by, endorsed by, associated with, or affiliated with Facebook, Twitter, YouTube or Pinterest in any way. Audrey is too young for pottery but I totally want to take a class myself! My daughter would want to go to every single class if I showed her the schedule. She loves all things art! Love painting porcelain, so this would be yummy! Might even bring Mom. 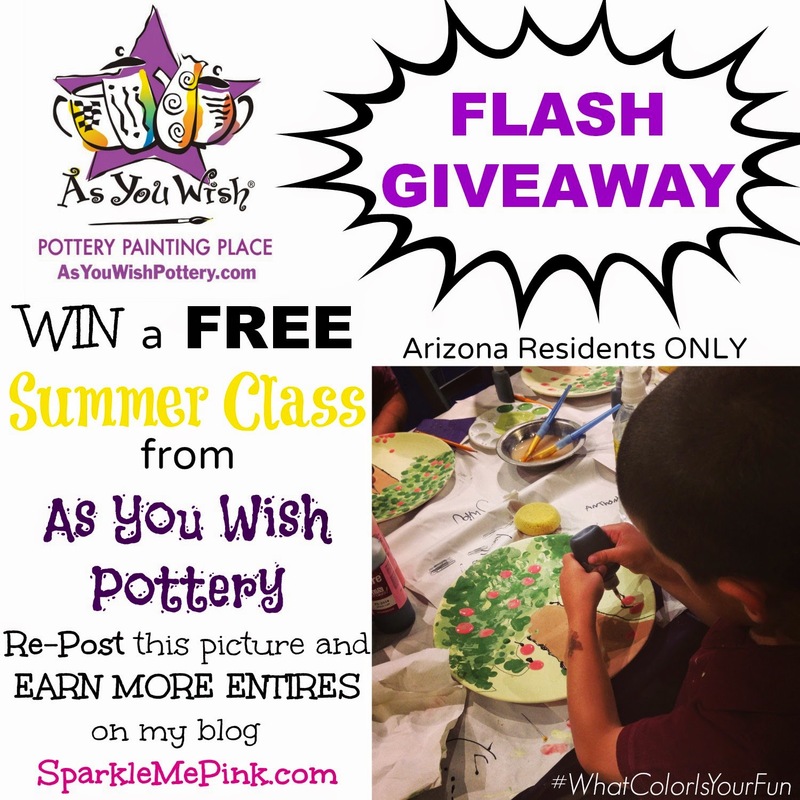 I couldn't have entered this anyway LOL but I have always wanted to try making pottery! They have a few places where I live and I thought about it, but have never done it :) After seeing your post I think I will this summer! Aw ! Yes you totally should !! I took ceramics all through high school and yet was totally nervous about the class we attended haha it really was a ton a fun !